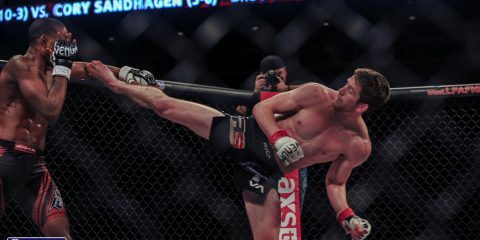 As Bryan Barberena was mocking Sage Northcutt in celebration by busting out his own version of “Super” Sage’s patented flip-around-like-a-maniac routine, fight fans all over the world were responding in kind by doing somersaults of their own right off of the Northcutt bandwagon. 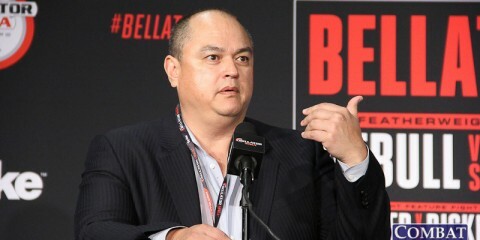 Yes, the UFC’s golden-boy prospect was exposed as nowhere near as ready to take over the UFC as fans and the UFC brass had thought. Barberena overcame a confident Northcutt in the first round and came out of the gate hard in the second frame in an effort to get control over the creative striker. 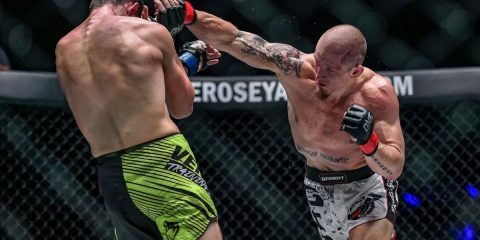 Once he got what he wanted, there was no stopping “Bam Bam.” He made the UFC’s “Super” prospect look incredibly ordinary on the mat before finishing off the biggest win of his career with an arm-triangle choke. There’s no point in sugarcoating anything. Northcutt looked completely overwhelmed once he was taken out of his comfort zone on Saturday. While he’s obviously an extremely skilled and assertive fighter when he’s in control of the bout, he looked like the polar opposite when he started to suffer some adversity. That’s bad news for a fighter that was being treated as a possible contender (in the next few years) and the future of the division. At the same time, fans probably need to take a step back and realize that this isn’t the end of the Northcutt experiment. “Super” Sage was beaten, but it seems like it’s almost been forgotten how young and inexperienced Northcutt truly is, even though a lot of his hype came due to that youth. 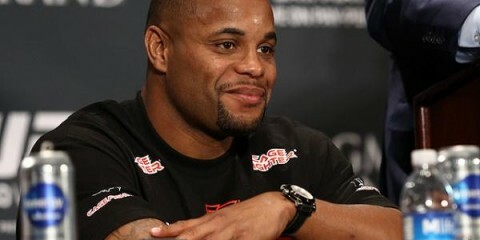 It is always a big deal in the UFC when a fight wins their first two promotional fights in less than three months. But when the fighter has been hyped the way that Northcutt has been hyped, it’s not surprising that fight fans started to treat him like the biggest young prospect to come along since Jon Jones debuted more than seven years ago. 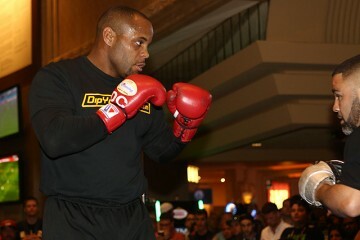 “Super” Sage was flashy and scored a couple of impressive stoppages. He looked and acted the part of a superstar, too. There are maybe five or six fighters on the entire planet that effortlessly produce charisma the way Northcutt does. 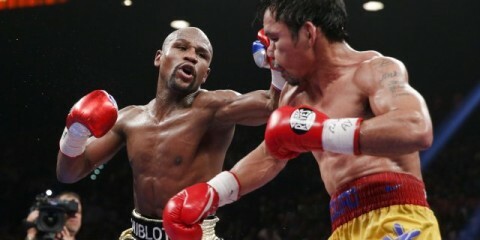 In a lot of ways, his ability to look and act like a superstar made fans mistake him for a world-class fighter. Northcutt just isn’t quite there yet. Remember, Northcutt’s loss this past weekend came in only the eighth professional fight of his young career. In hindsight, it may be an obvious conclusion to call Barberena the toughest fight of Northcutt’s career, but it’s a pretty good indicator of the caliber of competition Northcutt has fought to this point. Before entering the Octagon, his first four wins came over opponents who, like Northcutt, had less than 10 career fights. Then, he beat longtime journeyman Rocky Long, who currently sports a 21-33-1 record. Plenty of prospects have never fought anyone of note before entering the UFC, but Northcutt was just starting to get his feet wet on the regional scene before UFC President Dana White plucked him from the Legacy FC roster. Northcutt has only been a pro for 14 months and was fighting in the UFC barely nine months after kicking off his career. He’s also still just 19 years old. Growing pains inside the Octagon should have been expected. “Super” Sage fought a remarkable eight times last year, so it seems like it was inevitable that he would get caught sooner or later if he kept fighting every 90 days or so. Even when a fighter is winning impressively, as Northcutt was, fighting that often is going to take its toll on the body, whether you’re 19 or 35. However, one of the most overlooked aspects of Northcutt’s loss last weekend is that the bout against Barberena was the first true welterweight contest of Northcutt’s UFC career and only his second overall. Northcutt did most of his work in the regionals fighting in 165-pound catchweight bouts, but “Bam Bam” was by far the most experienced fighter Northcutt had fought north of 155. It showed on fight night. Northcutt was able to battle back from some adversity on the ground in his last bout at 155 against Cody Pfister, but he didn’t have as much success when dealing with a bigger fighter like Barberena once the fight hit the floor. While the teenaged Northcutt may still be growing, it seems like the best option for the youngster is to stick to the lightweight division until he either gets stronger, puts on a little more size or improves his technique on the ground. Northcutt’s next fight should come at lightweight. And when it does come, it should come against an opponent that at least gives Northcutt a chance to regain some of the hype he lost on Saturday. The UFC realizes that while it was hoping Northcutt would be able to continue his rise up the ladder, there’s no reason to shut down the “Super” Sage hype train just yet. 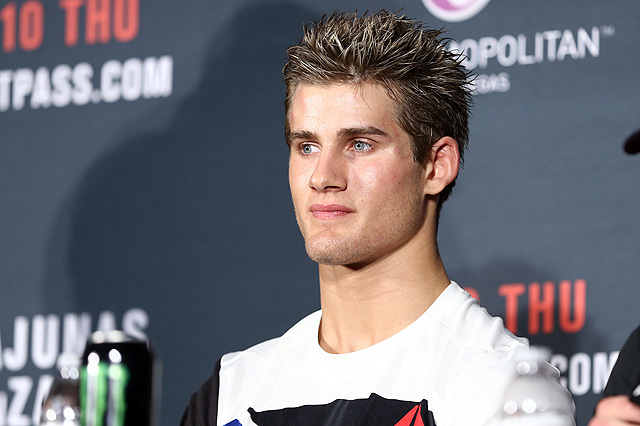 Northcutt can regain a ton of what he just lost if he can impress in his next bout. 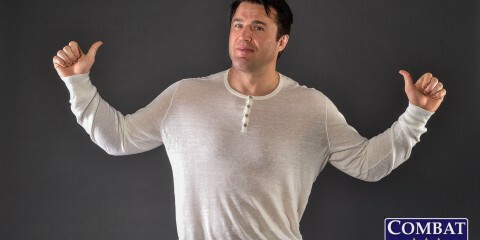 That doesn’t mean UFC matchmaker Joe Silva needs to throw him an easy opponent or that Dana White and friends should be scouring the regionals for a dance partner on Lookin’ for a Fight, but a bout against a fellow striker that brings some fireworks would earn Northcutt a ton of goodwill from the fans. A knockout victory might even be enough to fill up the bandwagon again. Northcutt’s status as a top prospect may have taken a hit this weekend, but he’s still far and away one of the most valuable young fighters on the UFC roster. The UFC’s support of “Super” Sage isn’t going to leave anytime soon, and it’s all but guaranteed that the company is hoping this loss was a mere setback on Northcutt’s way to stardom. Three UFC fights in four months may have been a little too much to deal with at this stage of Northcutt’s career. What matters now is how Northcutt ends up battling back from adversity for the first time. He may have been exposed on the ground by Barberena, but Northcutt’s story is still just getting started. Hhe’s so young that his future is impossible to predict. So, yes, Northcutt suffered a setback. And, yes, he lost a ton of his luster after being finished the way he was finished. But, no, that doesn’t mean it’s time to jump off the bandwagon quite yet. Is the UFC Paying Sage Northcutt Too Much, Too Soon?